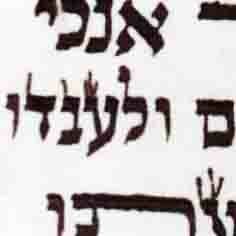 I can't imagine anyone - Tinok or otherwise - looking at that symbol and, based on its shape, saying, "Sure that's a Yud." I think the tinok should be shown lamedin in addition to the yudin and reishin. The child must know the letters but not be able to read. This doesn't mean that he just knows the letters from a book. He must recognize the letters that are needed for the shaila in the ksav he's to be shown. If he can't identify these letters in this ksav then he's a tipesh for this shaila. Knowing properly written letters without hesitation doesn't make him a chacham. Being able to identify the letters from context does. We throw in the unrelated letters while verifying that he knows these letters so when we do ask him the shaila he hasn't figured out what we want from him. A child who can read is still not considered a chacham unless he understands the meaning of what hes reading. So you're saying that a child who knows how to read Shma fluently and can identify any letter from context but hasn't yet learned the meaning of the words can be used for a Shailas tinok even though he'll immediately know that the above Yud, for example, is a Yud? Also, are you saying that a significant % of adults who unfortunately don't understand what they're reading can serve as a Tinok? I'm aware that the PMG and Shulchan Aruch Harav hold that until he understands what he is reading (peirush Hateiva) he's not considered a chacham. What's the mesorah of Chabad in this matter? 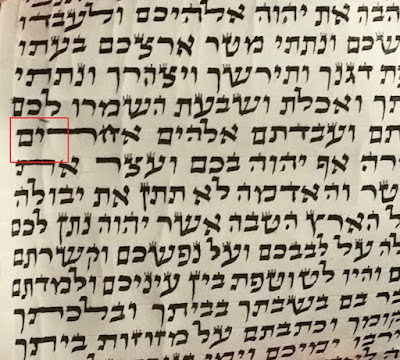 It's my understanding that most follow the Taz (and Kol Yaakov) who consider one who can read the words and hence identify the letters from context to be considered a chacham. He can still be able to read a, so long as he cannot figure out what it is supposed to say from context. As the Gemara in Menachos says, you see whether he reads the word as vayaharog or yeihareig, clearly implying that he is able to read. You are correct that he cannot know what it is supposed to say,but that does not mean that he cannot combine letters into words on his own. Additionally, in the new sefer Mesoras Moshe that was put out recently, it says that R' Moshe Feinstein zt"l held that a gadol am haaretz could in fact be used to make a shaylas tinok so long as he won't be able to figure it out from context, meaning that he fits the same specifications required in a tinok. 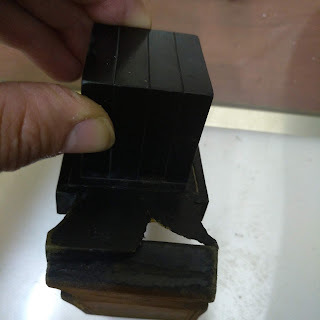 Can you send an image from the Mesoras Moshe and the page it's found on? Also, See Shu"T Darchei Noam Even Ha'ezer Siman 3 regarding an adult reading.